Google has announced a new service for the users in the name of the street view. Yes, after the sensation of new 360-degree videos and new cameras and VR videos, this is the new service that is completed differentiated from the previous services and tools. Everything about 360 Video Google Maps is explained here. If you are ready to start your first street view virtual tour, then you are at right place to know more information about the 360-degree video Google maps street view VR tour. Here we go. What exactly is the street view VR tour? Google started the new feature called 360-degree virtual photo spheres for Google Maps street view. It is a collection of 360-degree images shoot with a 360-degree view camera. 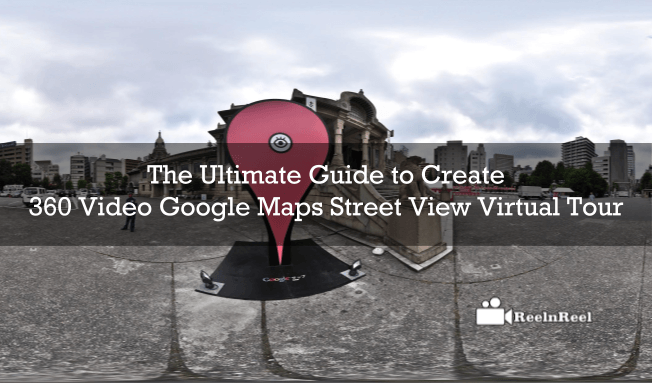 Users can share the photo spheres using the Google views site. After sharing their photo spheres, they can create their own photo sphere VR tour in streets view. Google is trying to expand its Google maps database with this new feature. Google was offering powerful tools to the photographers to transform their photo sphere into VR tour on Google street view. By using the street view you can explore the landmarks and other interesting and exciting destinations. You can utilize the Street view application in Google maps. Once you opened the app, you can click on the tabs to access the popular 360-degree photos across the globe and you can explore the things like top 360 photos from the map view etc. By clicking on profile tab you can access the photos that are published by you and you can share them and check the views by tapping on stats option within the app. You can also organize and get the details of your created photos which are not published. Users can utilize the Google cardboard to open the street view app and photos. You can simply tap on to the compass to check the location and view. By turning the device towards sideways, the user can adjust the landscape and other modes to have a wider view. The users can add photos to a particular place if the particular destination or business don’t have yet. They can simply tap on to contribute tab and can create and publish the photos. Users also have turn ON or OFF the notifications from this app. To connect the camera to your street view app, you must know the list of important cameras that are compatible with the app. Some of those cameras that are compatible with the street view app are Ricoh Theta Samsung Gear 360 etc. Turn ON the camera and make sure it was charged completely. Turn ON WI-Fi and choose the photo mode where you can see a blue camera icon at the front and video camera icon. Switch to photo mode and set up through settings. Connect your phone to the 360-degree camera through Wi-Fi network and open the Google street view app. You can see blue colored linked camera icon if it was established a connection with your phone. Every device has its own settings and it may differentiate in setup. Let us discuss how to go for a virtual tour. Let’s start with the creation or importing of the 360 photos in your mobile. Open the street view app and tap on to create button and tap camera icon which si present at bottom right corner. Take some photo series and tap on done option. Your photos will stitch together and saved as a private tab in your mobile. The auto capture feature allows you to take multiple photos automatically without tapping on camera for every photo. The only thing you have to do is to connect your phone to your camera. By switching on auto capture, the users can pause or start the capture. It is better if you use tripod or helmet for capturing the photos. Choose to publish option in street view app. Apply blurring and other things to your photos by using the tools that are available within the app. Tap on the upload button and publish. You can also get listed as a trusted street view photographer. Choose the settings that are required and turn the switch on next to the available for hire tab. Join the local guides. Connect your photos automatically and you can geotag them with your settings. So that you will earn a trusted badge to the users and they can also connect the photos manually with connectivity editor. After creating and importing you can also add maps listing and edit the location basing on the location and other details. Finally, you can get started with the street view app and explore the things much better by following the above information. Hope this is helpful to you to get started. How Much did Twitter Video Counts Feature can Help Users and Marketers on Twitter?